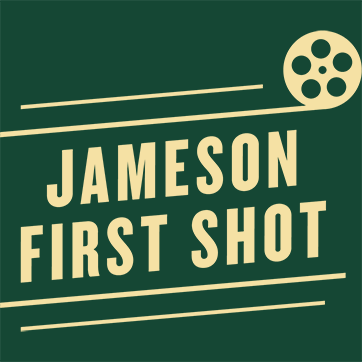 Jameson has today announced the three winners of the 2016 Jameson First Shot competition, an international short film competition that gives aspiring writers and directors their 'First Shot' in the film industry. Rather than contacting them directly, Jameson surprised each winner with large movie billboards in their hometowns, featuring their names alongside Hollywood actress Maggie Gyllenhaal, who will star in their respective short films. Cameron Thrower (California, USA), Kat Wood (Sheffield, UK) and Jason Perini (Sydney, Australia) were each brought to the location of the billboards by a close friend under the pretence of an informal get-together. Each was then amazed to learn that they had been selected from the thousands of entries by Academy Award Winner Kevin Spacey, Dana Brunetti, President of Trigger Street Productions, and Oscar-nominated actress Maggie Gyllenhaall. All three winners are now preparing to shoot in Los Angeles where they will work with a team of talented film professionals to bring their scripts to life. They will receive expert guidance by Kevin Spacey and Dana Brunetti, and have the once-in-a-lifetime opportunity to direct Maggie Gyllenhaal, once of Hollywood’s most critically acclaimed talents.